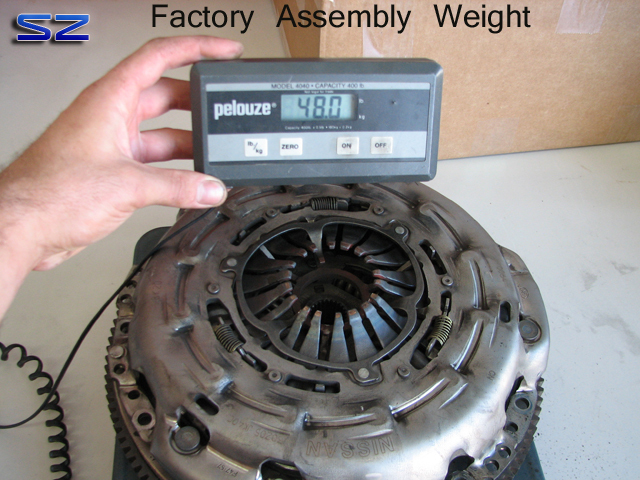 Our final release of our 350Z (07-08 HR), 370Z\G37 clutch kits are now officially available. Our first iteration involved upgrading the factory CSC. This time we incorporated the use of a Tilton racing slave. 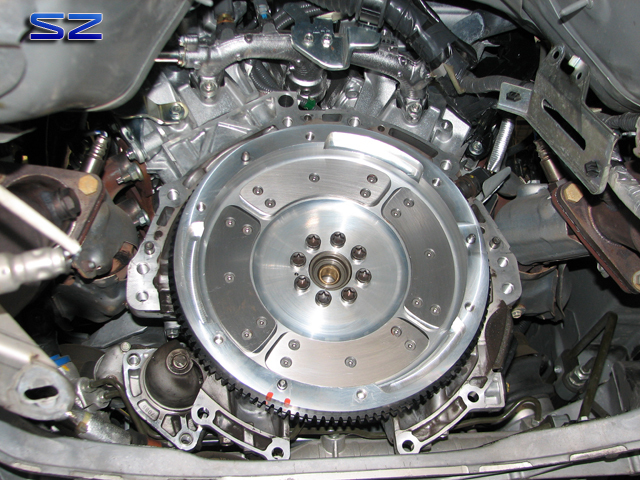 To achieve the proper release and ensure maximum clutch life the height of the flywheel and clutch pressure plates have been shortened. In doing so we have saved even more weight from our original version. 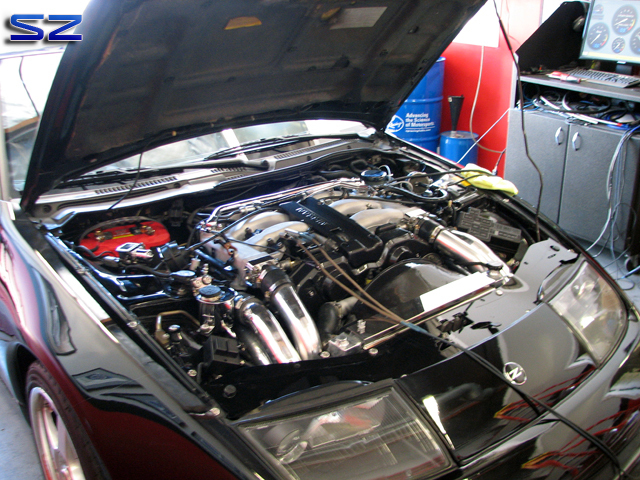 Max Street Kit shown installed on a NA VHR. You can see the two orangish stripes on the pressure plate and flywheel (balancing mark). 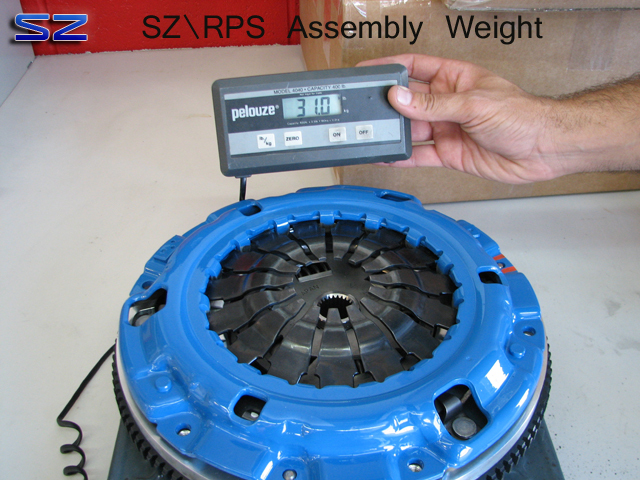 We take the time to balance our assemblies for even more engine smoothness. Our CSC (internal slave) bolts right in with no need for any modifications to the transmission front cover. All it takes is bolting up our adapter plate and your done. SS lines are included for a complete install. We are offering our Max Street, Max 6-Puck, and High 5 clutches. Kits include the segmented aluminum flywheel, clutch disc, pressure plate, racing CSC, pilot bushing, SS lines, and associated hardware. 48 lbs for the factory setup. 31 lbs for a total of 17 lbs saved! Our segmented flywheel bolted to the engine. 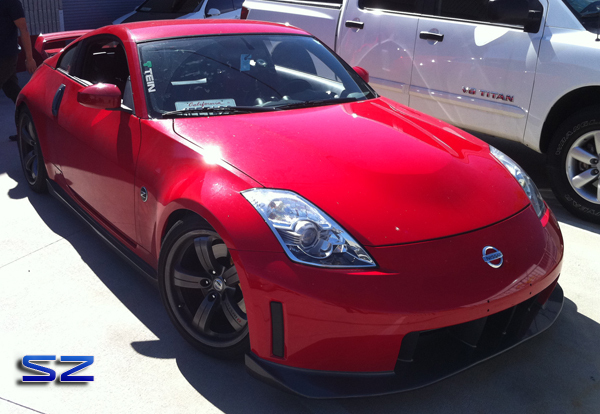 Awhile back a 2008 Nismo 350Z came by for some tuning tweaks. Mr. Will from the AZ Project Z32 crew came out earlier this year after performing more “breather” modifications on his Zed. Will came to us before his most recent mods so we were able to get a fairly reasonable baseline to see the gains received from the new parts. Since first bringing us his Z, Will’s mods have changed to progressively “refine” his power band. Below you will see small changes that have had huge impacts on the way his powerband is delivered. The following runs were ALL performed on 100 octane fuel. So the following BLUE run represents Will’s mod list from above. A few months later Will came back and had changed to our SZ 3″ Down Pipes and 3″ to 2.5″ Test Pipes (RED Run). Excellent gains from 3100-5300 RPMs. 48 WHP and 55 torque! By now your wondering why his power drops off and is jagged by 5500+ RPMs. 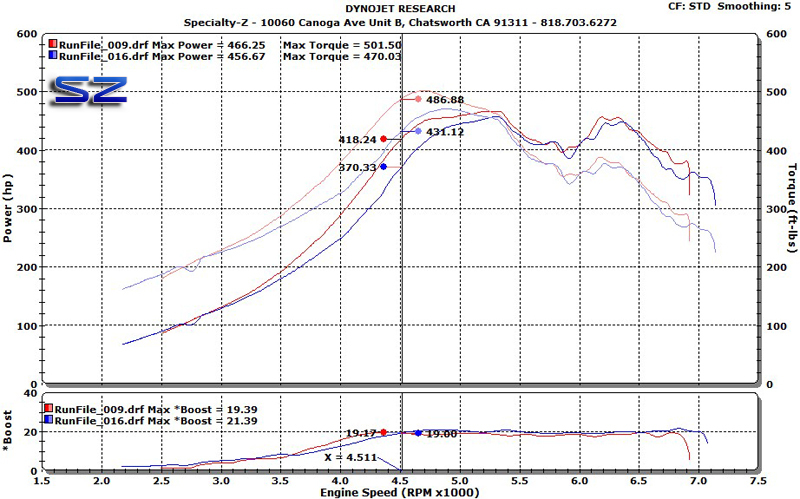 Looking at his boost curve you can see boost was smooth and unwavering. 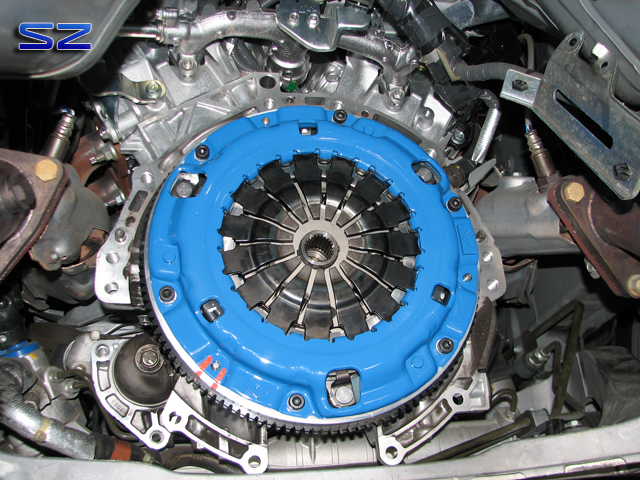 This is something we had seen on some other smaller turbo VGs. Cam timing plays a large role in this too. Here are the results over-layed with his previous results. GREEN run is the latest and Red the previous. 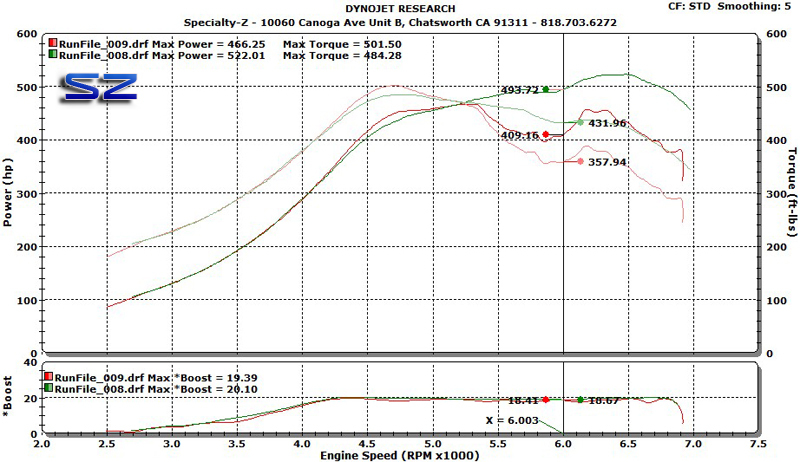 By removing the banana in the tail pipe restrictions Will’s powerband made a huge recovery from 5300+ RPMs. 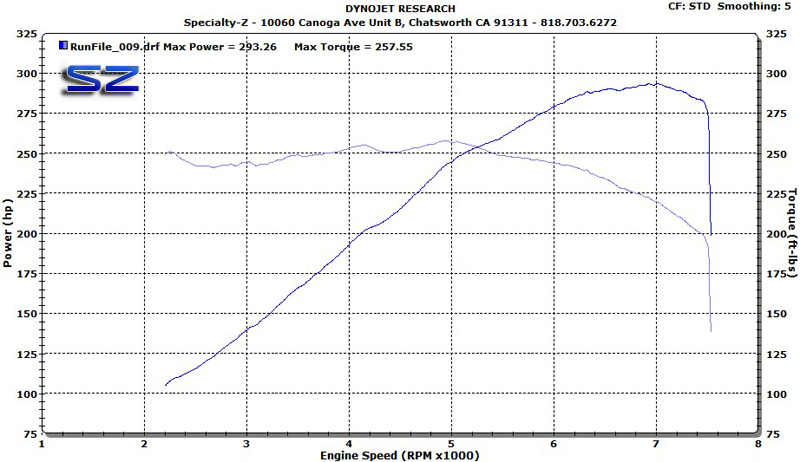 Your looking at over 80 whp and almost 80 torque gains at just 6000 RPMs. A huge improvement for his ailing top end drop off.